UK Plumbing Contractors is a domestic & commercial plumbing and heating company based in Aldershot, carrying out installation and maintenance work in Surrey, Hampshire and London. UK Plumbing Contractors’s team are always conscientious in their work and appearance, have a high level of integrity and motivation. They will always present themselves in a friendly and professional manner. The team members will always be looking to provide the best level of service to the company and its customers. All our engineers and fully qualified and are kept up to date on all training courses. Our team will carry out heating and plumbing work as required by the customer, ensuring their needs are met whilst giving them and their property the utmost respect. The work will be carried out to the highest standards and efficiently to ensure customers’ peace of mind and complete satisfaction are achieved. Plumber in Reading. Rapid response 24/7. No call out fee. Gas safe engineers. No job too big, no job too small. When you need a professional job done by qualified plumbing technicians, make us your first choice. Whether you need an emergency repair or require any plumbing or building work on your kitchen, bathroom or central heating, we are your local experts. We provide a free no obligation quotation after a full assessment and what we quote is what you pay. All our work is guaranteed. As a small business, we attempt to understand and meet the requirements of each customer. 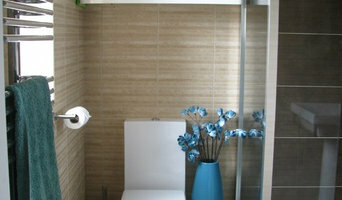 When installing bathroom suites, we provide the highest quality bathroom at the most affordable price possible. Ryan Dickinson Plumbing & Heating Ltd. Established in 2003 and with over 25 years’ experience in the construction industry. 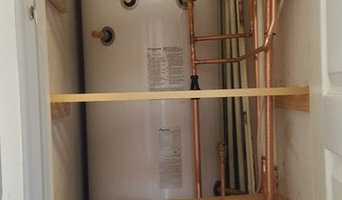 Ryan Dickinson Plumbing & Heating can offer you a range of services and a highly skilled team of installers and engineers. Our team of highly qualified heating engineers are Worcester Accredited Installers, which allows us to provide up to a ten year guarantee on selected Greenstar boiler models. Additionally, we are experienced with increasing our customers' energy efficiency, minimizing heating bills and shrinking their carbon footprint; such as with solar water heating. Chris Jones and Son Heating is your traditional tradesman company in Reading, taking care of all your gas, oil and water installations. We provide comprehensive advice, high-quality professional work and an extensive level of service. All in all, what you would expect from a company which has been trading successfully in this area since 1975. The company has expanded over the years to include Adrian (the Son element). But all of our staff are trained to City and Guilds level and we provide a 100% guarantee on our installations. We have full public liability insurance and unlike some transient companies you can always rely on us being there. our new bathroom journey starts here… We understand that when you choose to invest in a new living space, it is no small task. By listening carefully to a client’s requirements, we are able to deliver high quality, affordable, but most importantly – user-friendly rooms that fit around our client’s lifestyle. With so many different styles and designs to choose from it’s hard to tell what will look good and what won’t. Whether you wish to book an appointment or simply drop in, let our friendly showroom staff help and guide you from concept right through to completion. No two bathrooms are the same, so take your time to browse our beautiful showroom, and be inspired by displays from some of the world’s leading manufacturers including Bristan, Heritage, Roca, Lakes, Utopia, Montrose, Burlington, Pura, RAK, Roper Rhodes and many many more. Once you have set your heart on your new suite, we provide you with a no obligation quotation, backed up by the latest CAD (Computer Aided Design) technology which produces 3D design layouts to make sure you feel confident and sure in your choice. Take advantage of free in-house delivery throughout the local area including; Verwood, Ashley Heath, St Ives, West Moors, Fordingbridge, Alderholt, Burley, Ferndown, Bransgore, Wimborne and surrounding areas. We look forward to seeing you soon – you are assured of a very warm welcome. Being LPG specialised and Worcester Bosch specialists, we are Gas Safe registered. With many years of experience within the industry, we take pride in officering our customers a ‘personal touch’ to suit their needs and requirements. From the second you make contact with us, we aim to deliver an excellent, reliable and professional service and will manage your job through to completion. We, at Southern Heat Solutions want you to be a truly satisfied customer. Plumbing and heating, from boilers, serviced installed & repaired. we install bathrooms, and general plumbing repairs. Established in 2011, our reputation has been founded on honest, hard work that you can rely on. Our expertise and knowledge make us the number one choice for plumbing and gas services in the Southampton area of Hampshire. Fastfix Heating & Home Services is a plumbing and heating company covering Southampton and the surrounding areas. we provide an efficient, clean, reliable and competitively priced service whilst never compromising on quality and safety. The safety of our customers and the public is our utmost priority. Todds Plumbing and Heating Limited is an independently owned plumbing company in Portsmouth, Hampshire. 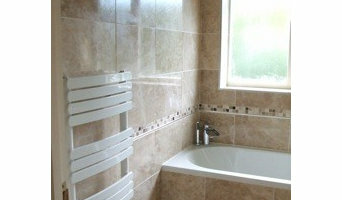 This plumbing company specialises mainly in plumbing and heating services and is run by managing director: Mark Todd. Mark has been trading since the year 1990 and originally embarked on his plumbing career as an apprentice some 29 years ago. During his time as a Plumbing and Heating engineer, he has gained a great level of experience and awareness within the trade. Mainstream plumbing company in Portsmouth from humble beginnings He started out trading on his own initially, and through continued success, great customer satisfaction, and the ever growing demand for plumbing and heating services in the south, has now impressively built up his plumbing company steadily over the years, and now employs an additional staff of four fully qualified and enthusiastic plumbing and gas heating engineers. The future plans of a recommended plumbing company in Portsmouth Mark now has future plans to develop his company further in the coming years, and has high hopes and aspirations for sustained growth as he continues to fulfill the plumbing and heating needs of all his customers in and around the area of Portsmouth, Hampshire and beyond. A trustworthy plumbing company in Portsmouth that puts its customers first While strongly customer focused, he and his team never lose sight of what’s important for continued sustained success within the organisation and more importantly Todds Plumbing and Heating Ltd never loses sight of what really matters, its valued customers. 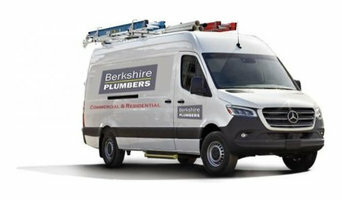 Maintaining high quality workmanship and high standards across the board His philosophy and objective is to continue to deliver the high quality of workmanship needed, and to adhere to the high quality standards that his customers now come to expect from his company and the modern industry of plumbing and heating. KJC Drainage is a 24 hour service which are trusted member of Checkatrade and Whichtrader who offer a range of services! Drainage Repairs Whether you require burst pipe repairs or your drain is blocked, you can rely on the team of professionals at KJC Drainage to get the job done quickly and efficiently. CCTV Drainage Surveys To help to identify problems in your drainage system efficiently, we offer CCTV drain surveys all across Gosport and the surrounding areas. Speak to our staff for a free quote. Excavation Services KJC Drainage offers land excavation services to help you get your construction or drainage project started. Get in touch with us today to schedule an appointment. Soakaways - Supply and Installation Soakaways are generally connected to septic tanks and collect waste water which then gets recycled back in to the ground. This ensures that none of the water used is wasted, making it cost-effective and environmentally friendly. At KJC Drainage, we can supply, install and repair soakaways for domestic and commercial purposes. Groundworks and Landscaping From excavation to site clearance, you can rely on KJC Drainage for a wide range of landscaping and groundworks services. We have been established in the trade for over 20 years and have the necessary equipment and skills to get the job done efficiently. ActFast Solutions Ltd provide plumbing and heating engineers in the southeast and surrounding areas, available 24 hours for your piece of mind. Covering a wide range of work including; All aspects of Plumbing and Heating Maintenance, Installations Showers, Taps, Pumps, Immersions Burst Pipes, Leaks, Ball Valves Hot Water Cylinders & Gas Boilers Gas Inspection Certificates We are very competitive and always work to ensure that you get the best prices for the work done without compromising on quality workmanship. All work is guaranteed and credit cards are accepted for your security. We are more than happy to help with any question before, during and after a job is completed. Please get in contact for friendly advice and quality workmanship, or check out our website for more information. SGS provide comprehensive services as heating engineers, plumbers, electricians and more based in Salisbury, Wiltshire and serving customers throughout the south of England. 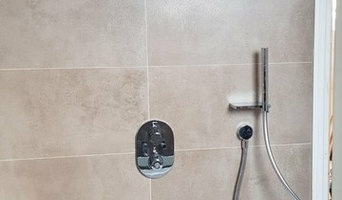 Plumbers in Itchen Abbas, Hampshire can do more than just fit sinks and fix toilets; for any water or gas fixture there’s a plumbing company that can repair, install or even design it for your home. In the kitchen, you’ll need local plumbers to hook up your sink, dishwasher and washing machine to the main water supply and the drainage pipes, and they may be able to help with waste disposal units, gas hobs and plumbed-in fridges that dispense ice and water. In the bathroom you should hire Itchen Abbas, Hampshire plumbers to install your main bathroom fixtures – showers, baths, sinks, toilets and bidets. Plumbing companies and heating engineers can also install towel radiators, shower body jets, bath spas and possibly underfloor heating. Plumbing doesn’t have to stick to the kitchen and bathroom, either. Plumbers can install water taps outside for hoses and sprinkler systems, or you may want outdoor water features, such as a fountain, pond, pool, hot tub or shower; all of which you can talk to Itchen Abbas, Hampshire local plumbers or plumbing companies about. You may find that you need a plumber to work with a tiler, kitchen designer or architect so that your whole redesign can come together seamlessly. Here are some related professionals and vendors to complement the work of plumbers: Main Contractors, Septic Tanks & Sewage Systems, Kitchen & Bathroom Designers, Kitchen & Bathroom Fitters. Find local plumbers on Houzz. Narrow your search in the Professionals section of the website to Itchen Abbas, Hampshire plumbers and plumbing companies. You may also look through photos of Itchen Abbas, Hampshire projects to find a plumber who has worked on a project similar to yours.